Tara McLernan is an associate in the Newark office of Lewis Brisbois and a member of the Long-Term Care & Elder Law Practice. Ms. McLernan defends long-term care and assisted living facilities, as well as hospitals, physicians, and nurses, in medical malpractice litigation. She assists in all aspects of litigation including answering written discovery, taking depositions, preparing and arguing various motions, and drafting Appellate Court briefs. 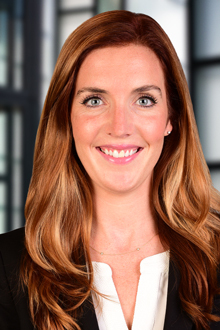 Ms. McLernan also represents clients in premise liability cases involving trip and falls, slip and falls, snow and ice falls, and indoor hazardous conditions. She has handled these matters from pre-suit investigations, through written discovery, depositions, expert discovery, dispositive motions, and settlement negotiations. Prior to joining Lewis Brisbois, Ms. McLernan clerked for the Honorable Joseph P. Quinn, P.J.Cv. in Monmouth County. As a law clerk, Ms. McLernan managed the judge’s motion calendar and was responsible for conducting legal research and drafting written decisions for summary judgment and dispositive motions in various areas of civil law, particularly in medical malpractice matters.